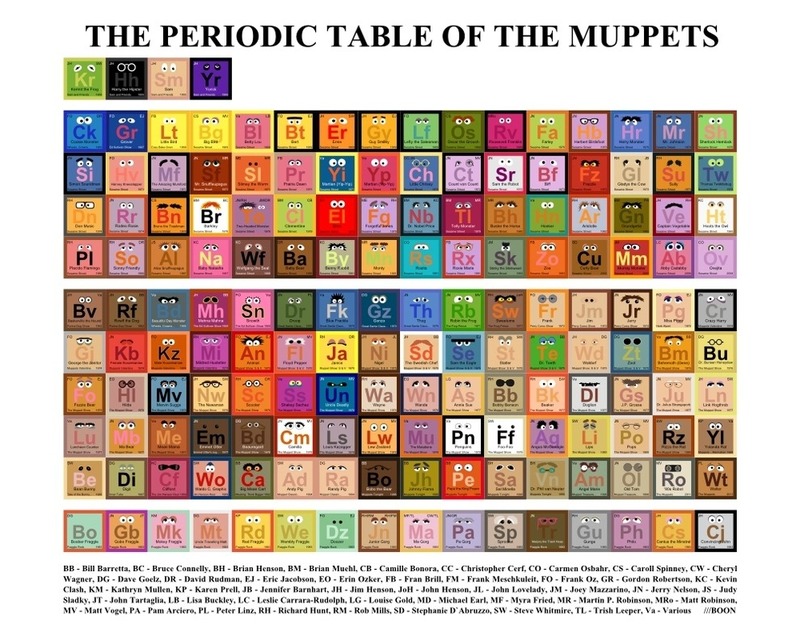 Quoting Paste Magazine, artist Mike BaBoon of Mike BaBoon Design has filled a major gap of modern science with his totally awesome Periodic Table of Muppets. The chart details the history of Muppets throughout the years, ranging from the famous ones (Kermit, Miss Piggy) to the lesser-known Muppets (Mahna Mahna, anyone?). Each square represents a different Muppet and lists the primary Muppeteer for each character, along with the year and production in which the Muppet made its debut. Mike Boon, you’re our hero of the week!